At IntelliQuote, we are always happy to hear stories of life insurance at work: a family saved from financial hardship or a person’s dream living on for years to come. In today’s post, we’re going to take a closer look at Scott Young’s story. Though it begins in heartbreak, we assure you that the Young family’s story will inspire you! Scott Young was a dreamer from humble beginnings. He built his one-man heating and cooling businesses into the largest company of its kind in his county. Scott and his wife Cathy dreamed of raising their family on a ranch, a dream that became a reality when the Young’s built their home in the country. As Scott’s business continued to grow, he worked with his life insurance agent, on multiple occasions, to ensure he was carrying adequate life insurance for his family and for the company he operated with his brother. Sadly, just weeks after he last evaluated his life insurance needs, Scott was in a fatal accident. Though his wife and daughters were left to face the heartbreak of losing a father and husband, they were able to depend upon Scott’s life insurance benefit for financial support. Today, Cathy admits they would not have been able to stay in their family home without the support of Scott’s life insurance policy. Though they miss Scott every day, Cathy and her girls can continue living their dream, on the family ranch that he worked so hard to build. Scott’s story, though tragic, provides an important lesson for us all; life insurance protection is essential. Scott left a legacy that enabled his family to continue to live out their dreams, even in his absence. Though no life insurance benefit will ever bring him back, it will serve as a constant reminder of his commitment to caring for the wellbeing of his family. If you are in the market for life insurance, or it’s been awhile since you reviewed your life insurance coverage, the experts at IntelliQuote encourage you to request a quote today. We shop the nation’s leading carriers to help you lock in the lowest life insurance premiums on the market today. In a matter of minutes, you will receive a side-by-side comparison of policy life insurance premiums. Have questions? Your licensed advisor is here to help! 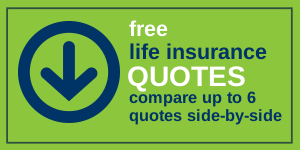 Let’s get started comparing life insurance premiums today! Are You Eligible for Lower Life Insurance Premiums?